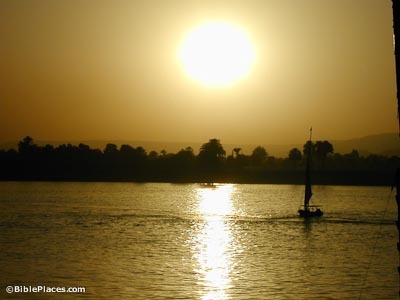 The 5th century BC Greek historian Herodotus declared that Egypt is the “gift of the Nile.” He simply stated what all have always known to be true: without the Nile, there is no Egypt. 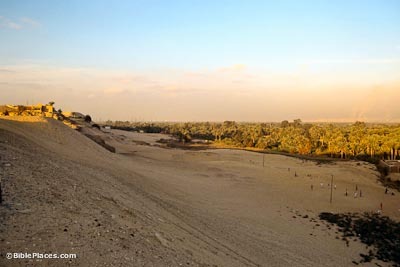 Where the Nile overflows its banks, the land is green, and where the water’s influence stops, the desert begins. 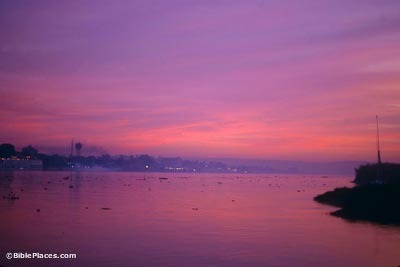 The rainfall south of Cairo averages 1 1/2 inches per year, and often there is no rain at all during the year. Apart from a few western oases, Egypt is a desert, and only 3% of the land (that which is along the Nile River) can be cultivated. 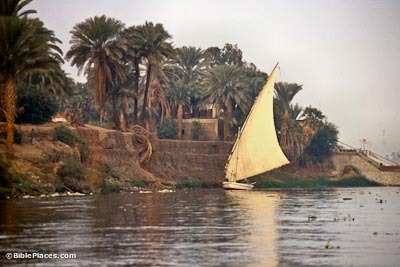 99% of the population of Egypt today lives in the Nile River Valley. The Nile begins in the area of Urundi and flows through Uganda into Sudan. The river has two branches (White and Blue), and its total length is about 4,000 miles (6670 km). 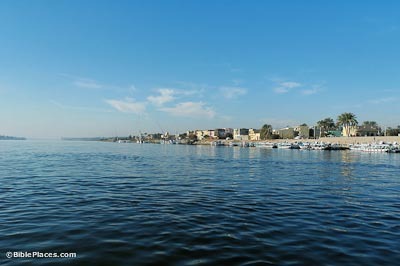 Only 900 miles (1530 km) of the river is in the modern country of Egypt. The two branches join just north of the modern city of Khartoum, Sudan. The annual inundation was the most significant event in the life of the ancient Egyptian. In fact, the calendar revolved around this four-month event. There were three seasons in ancient Egypt, each consisting of four months. The Inundation Period was from Sept-Jan, the Growing Period lasted from Feb-May, and the Drought Season lasted from June-Sept. The inundation covered the valley floor with a thick layer of wet silt. This fertile soil was excellent for planting. 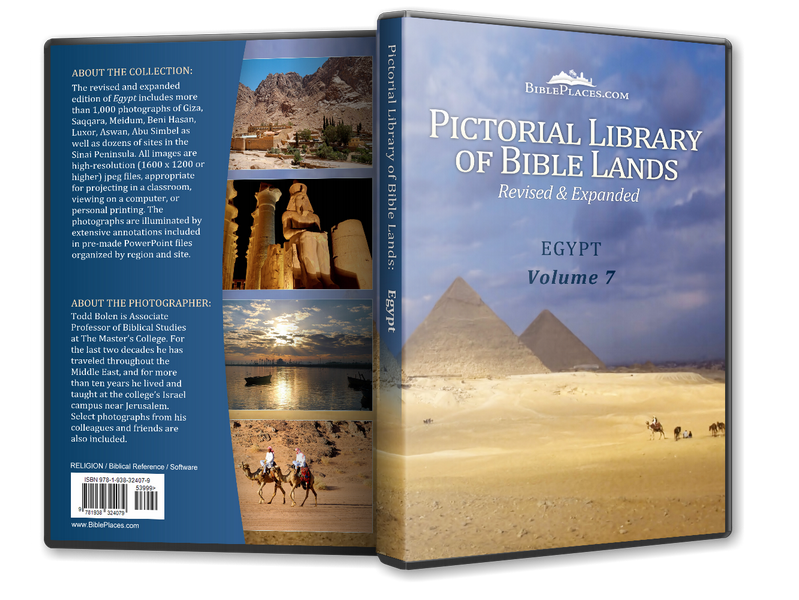 “The land will rise like the Nile; it will be stirred up and then sink like the river of Egypt” (Amos 8:7). The height to which the river would rise was important for agriculture, and Nilometers were built in the earliest times to measure the level of the river during the height of the inundation. Several Nilometers from different periods can be seen today at Elephantine Island (Aswan). If the river did not rise enough, there would be less area available for planting that year. If the river rose too high, villages might be flooded. 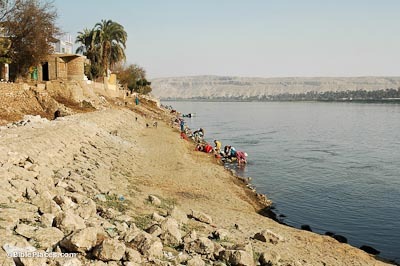 Since the construction of the High Dam in Aswan (completed in 1971), the Nile no longer overflows its banks each year.